And the winner of Travel Photo Roulette #56 is…. The person that was selected as the winner has declined to accept. So, a new winner will be chosen shortly. It’s great to be hosting Photo Roulette again. We hosted Photo Roulette #17 nearly two years ago with “Architecture”and it’s great to see that this contest has continued for so long. 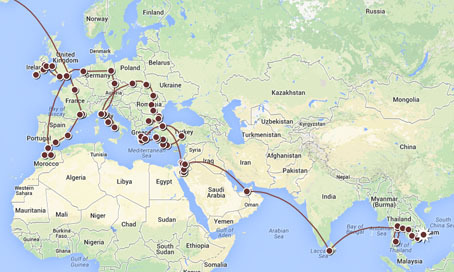 So many great photos have been submitted since then and it is always nice to see the wonderful places that our fellow travel and photo bloggers have seen and photographed. 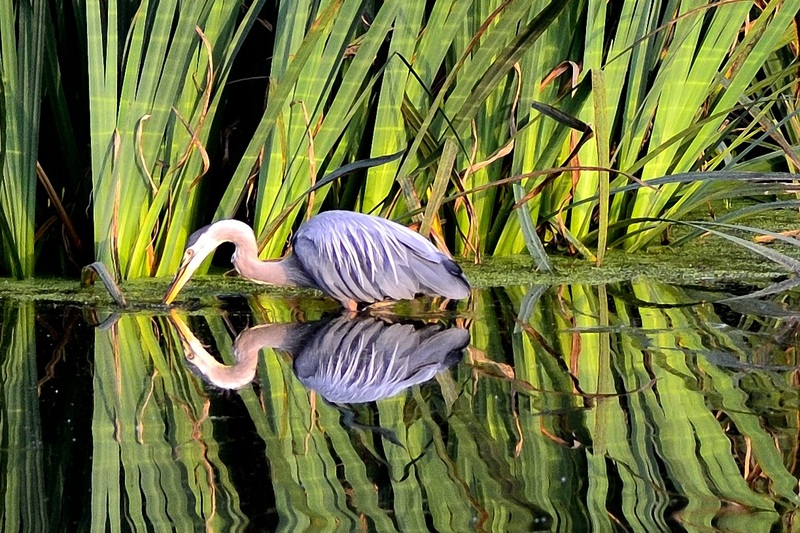 We won the last round of Photo Roulette #55 “The Natural World” hosted by Wanderlusters with this photo of a reflected blue heron that was taken in our hometown of Portland, Oregon. We look forward to seeing the PATTERN submissions for this round. Please try to get as many people as possible involved by sharing this contest (share buttons at the bottom.) And if there is a photo that you really like and think should win, please let us know in the comments below. Check back here throughout the week to see all the entries as they come in and feel free to comment on them. The contest runs for 7 days from today, with the submission dates being March 17th to March 24th (Sunday to Sunday). The winner will be announced a few days after the deadline, and they will host round #57. The Crystal Palace in Madrid had an interesting exhibit that featured repeating wine bottles of either clear or black color on the floor. I got a few interesting perspective shots that showed a near infinite display of the pattern. Love it! 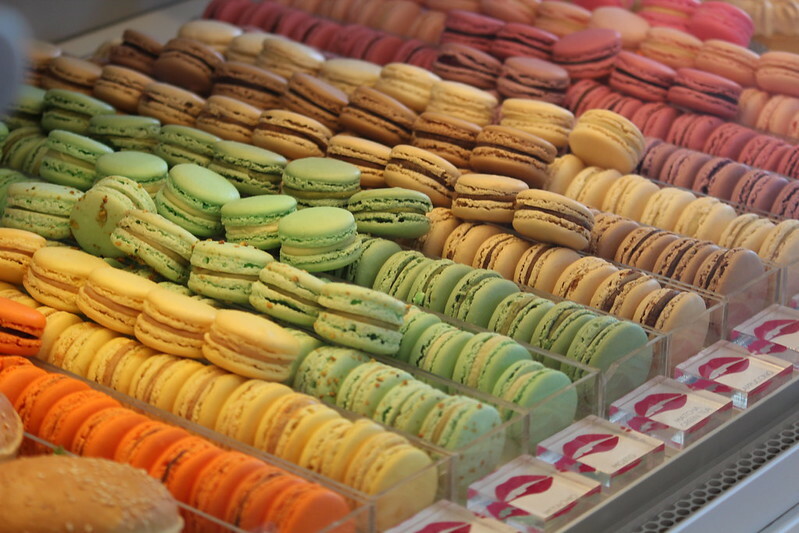 These macarons from a pastry shop in Toronto caught my eye – the colors were irresistible! This photo is of a naturally occurring ochre pit in Central Australia. The Aboriginal people use ocher as a dye in their art work and to paint their bodies for religious ceremonies. It is a very important substance to their culture and is strictly protected. No one but the local Aboriginal people is allowed to remove any of the ochre from this site. 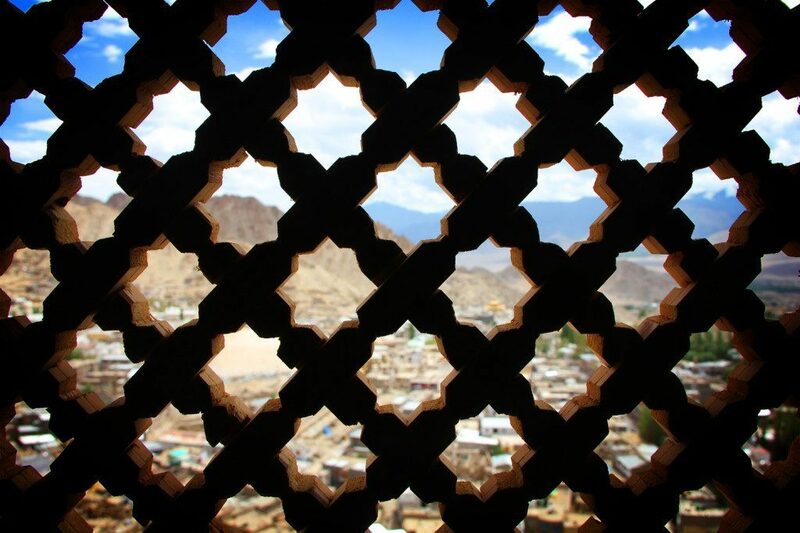 This is the blurred Himalayan landscape of the small town of Leh, filtered through the patterned wooden screen from a window in the abandoned Leh Palace. 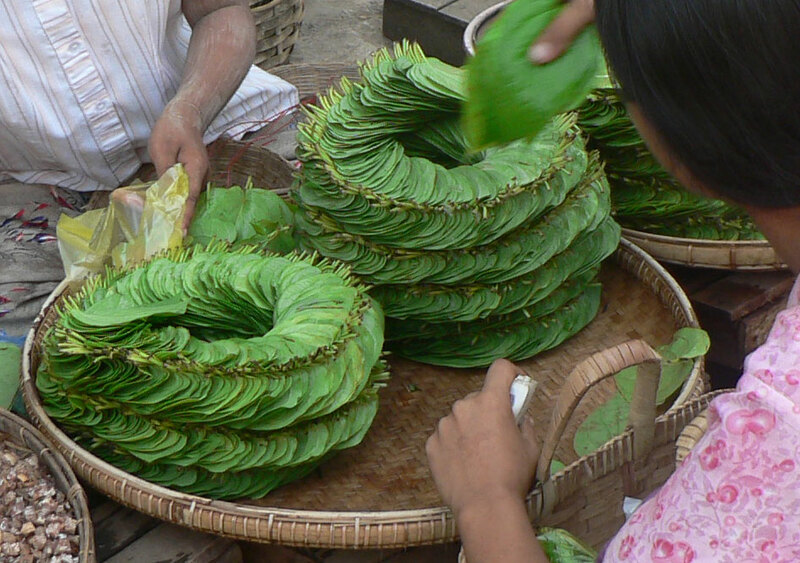 I snapped a picture of these neatly stacked Betel Nut leaves for chewing at a market in Burma. 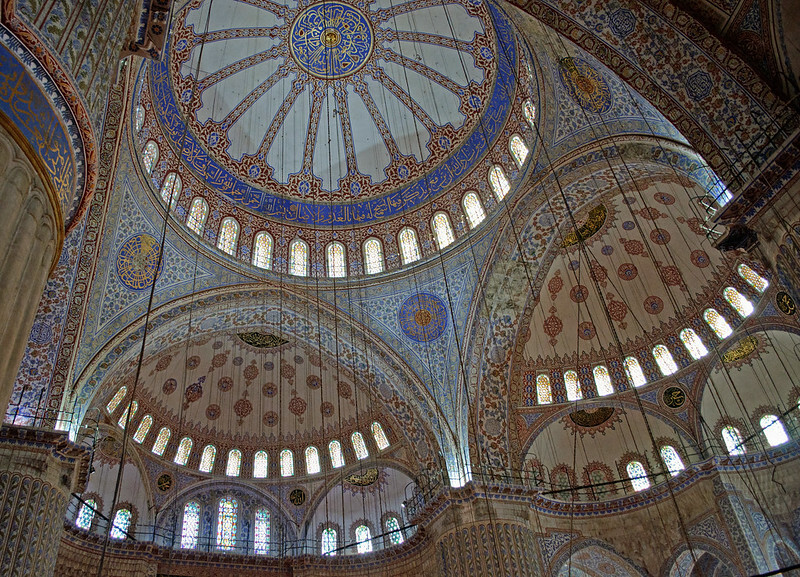 I was mesmerised by the patterns on the domes of the Blue Mosque when I visited Istanbul last year. My submission is of a parking reflector. Just a simple everyday object, but I am consistantly finding new things in the photo. It’s become my own personal Rorschach blot. What do you see? 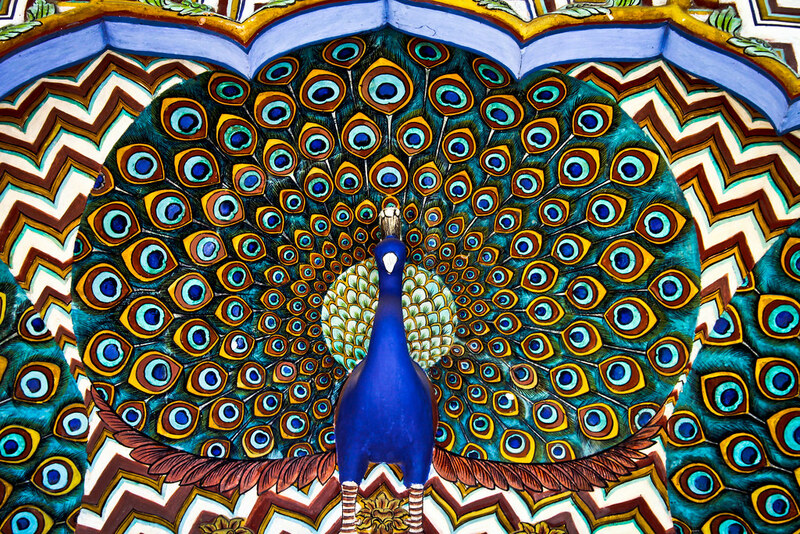 Detail of a peacock mural above a palace doorway in Jaipur, India. Here’s an example of the ribbed domes and tiled minarets of Samarkand in Uzbekistan. The intricate design of Maya textiles can be found in many colors and patterns. Aside from looking beautiful and artistic, the different styles and symbols serve as social identity, geographic origin and pay homage to deities. Maya groups exist in Southern Mexico, Belize, Guatemala, El Salvador and Honduras. A recent visit to the Auckland Art Gallery provided the opportunity to view infinite versions of yourself in a mirrored room. When standing at the door looking inside the floor appeared to be levitating above an infinite drop. Walking into the room felt quite surreal. I’m not sure I’ve ever seen myself from all angles before! This piece of art was hanging behind the check-in desk of our hotel in Xi’an, China. I thought the honeycomb pattern was really striking. 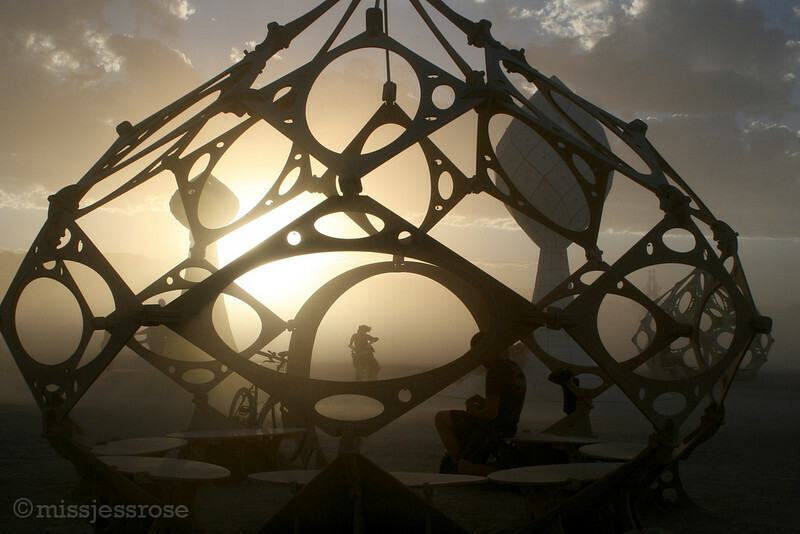 A sandstorm began blowing in as I was biking through this art structure in Black Rock City last year. Otherwise known as Burning Man, Black Rock City becomes the third largest city in Nevada for one week each year in August. One of the most magical places –– and imagine, it’s all temporary! 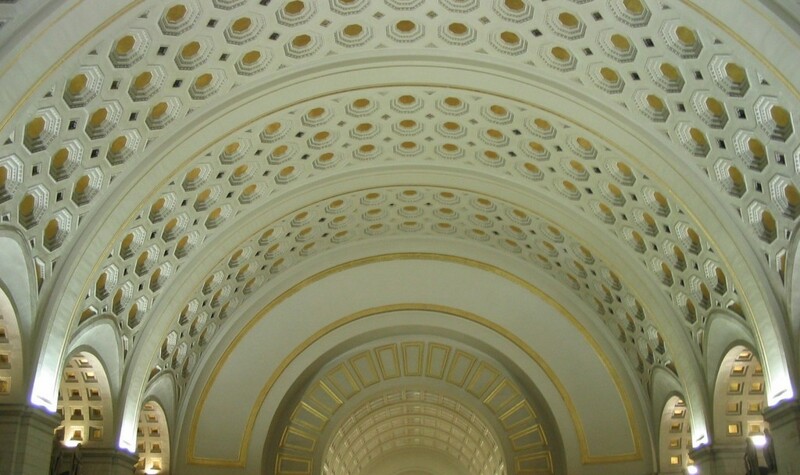 Union Station Ceiling – Washington, D.C. I took this image on a trip out from Hue, Vietnam. After a day of looking at beautiful, yet grey temples around the area we stopped at one of the incense shops who make these scented gems in every colour imaginable. They all try and outdo each other with the artistic displays of their creations and I snapped this image of them. Here’s a photo of jamón (legs of Spanish cured ham) hanging from the ceiling of a cafe in Granada, Spain. I love the look of the perfectly mounted rows of legs, though it was amazing to me that a small and relatively casual dining establishment would need so much ham! I love going to the local markets – the bright, fresh produce makes some pretty impressive patterns. Wow, those look like edible art! I think we might add Japan to our RTW destination list just to sample these. Thanks for the great submission! Great theme guys. 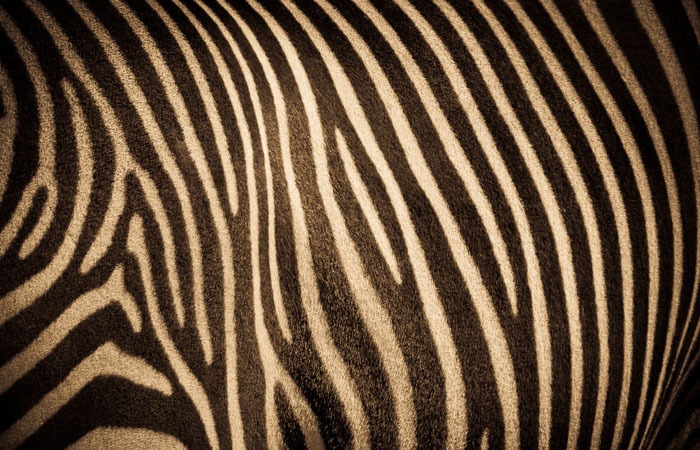 There are so many patterns in nature, I’m looking forward to seeing some creative submissions. I’m off to look through our collections and contemplate our entry! Thanks for hosting the last round. I can’t wait to see what photo you come up with! That is really impressive! Thanks for submitting this great photo, Jeremy. We didn’t get the chance to visit Madrid when we were in Spain last month. Hopefully we can visit again in the future and visit the Crystal Palace. Ochre is great to photograph. 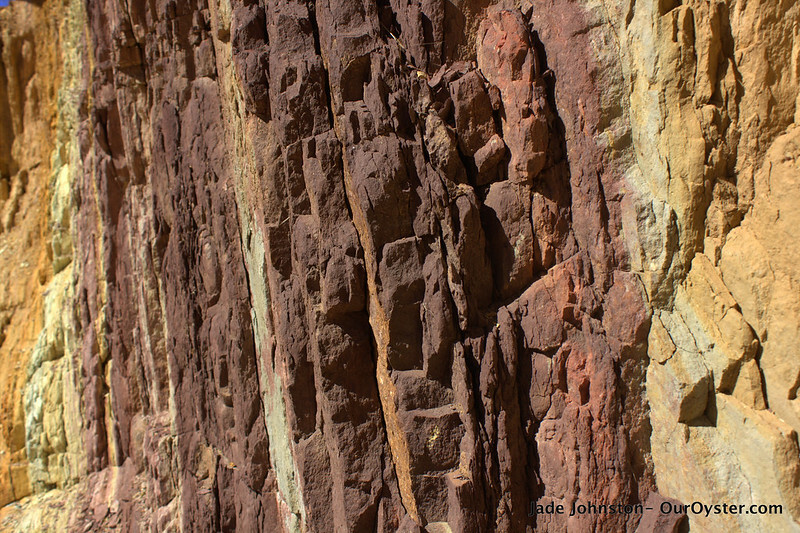 We saw ochre cliffs in France’s Provence region and were really impressed. So many different colors. Thanks for the great photo! Great shot, Norbert! Thanks for submitting. Great idea for a theme! I’m already completely in love with the strawberry mochi picture! We are too. It makes us want to travel to Japan and try it. The Blue Mosque looks amazing. We will be there this fall and can’t wait to see it. Thanks for the great photo! 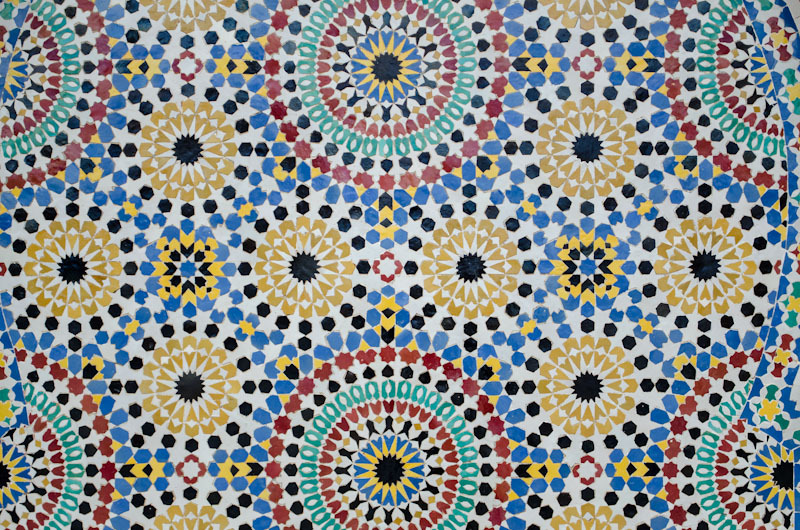 Ahh patterns, one of my favorite things to photograph, as they can be found in every single thing there is! Wow! That is amazing. The detail is really incredible. It is amazing how much work goes into decorating Islamic buildings. Thanks for submitting a great photo! Wow, such nice colors and patterns! We love Mayan art and would love to go back and visit that area again. Thanks for the great photo. Love the submissions so far. 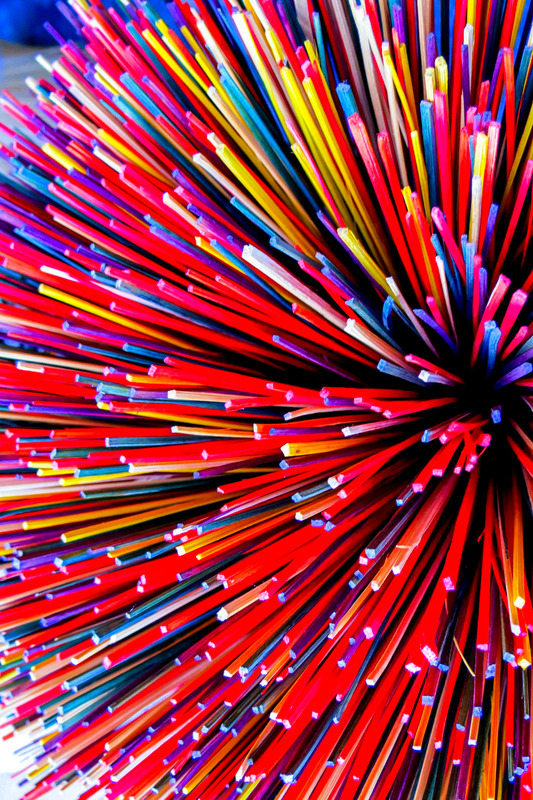 There’s something very appealing about ordered colour that appears in patterns. Having said that our submission is monochrome!! A recent visit to the Auckland Art Gallery provided the opportunity to view infinite versions of yourself in a mirrored room. When standing at the door looking inside the floor appeared to be levitating above an infinite drop. Walking into the room felt quite surreal. I’m not sure I’ve ever seen myself for all angles before! Hi Jason, could you edit the last sentence in my explanation I’ve made a typo! Should be ‘from’ instead of ‘for’. Cheers Bud! That is really cool. That would be so disorienting. Thanks for submitting this great photo! Congrats on the win and thanks for picking such an interesting theme! That is really cool and weird. We love the bugs!!! Great photo! That is an amazing shot and would have been impressive to see. Thanks for submitting such a cool photo. That is really colorful and a great shot. We look forward to visiting Vietnam next year. Thanks for submitting! Great idea for a category! Wow, great photos. I’m glad Patti (#15), included DC’s Union Station, that’s one of my favorite architectural patterns, and one I considered using. LOL, I have a similar shot I took last month in Spain. I noticed the same thing… patterns in the jamón. Great photo! We are currently in Morocco and I am really missing the good Spanish jamón. Wow, that is really cool. What are those things? Great photo! Lots of great photos!!! Glad to be a part of it!!! Great photo, Sam. I also love the colors and patterns in the markets. Hey Jason, thanks a lot for the nod! Good competition this time. I hope you got my message about the next round.